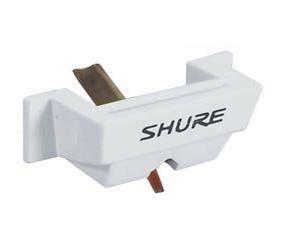 Shure N35X Replacement Stylus DJParts - All Variety of Parts that DJ Needs. It features high skip resistance and low record wear. High 6.0mV output. 1.5 to 3.0-gram tracking force. Includes extra headshell, stylus brush, and headshell screwdriver.